MANILA, Philippines - President Benigno Aquino III on Friday, February 19, 2016 signed the Executive Order to increase salary of government employees. Through EO No. 201, PNoy modifies the salary schedule and authorizes the grant of additional benefits for both civilian and military and uniformed personnel (MUP). The Salary Standardization Law (SSL4) increases the salary of about 1.6 million government workers by an average of 27 percent. "We commend the President for his swift and decisive action in response to the congressional deadlock on the issue of the indexation of MUP pension, which resulted in the non-passage of the proposed Salary Standardization Law of 2015 (SSL 2015), " DBM Secretary Florencio B. Abad said. This action by the President leverages the benefits package in order to increase the take-home pay of government employees as stipulated in the proposed SSL bills. The Executive Order effects compensation adjustments for this year as an interim measure to implement Tranche 1 of the proposed SSL, the full year requirement for which has already been provided in the National Budget. 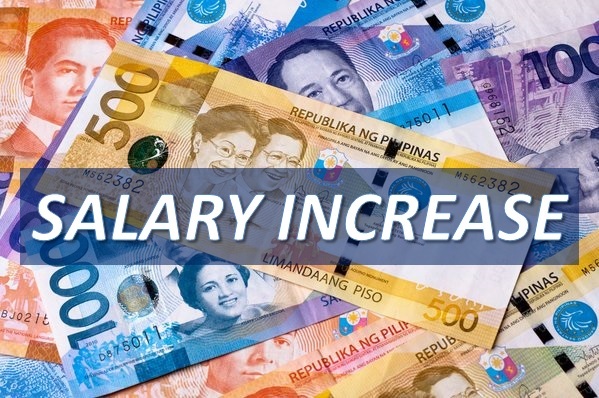 For civilian government personnel, the EO effects the adoption of the same proposals in House Bill 6268 and Senate Bill 2671 for salary increase, the grant of the mid-year bonus equivalent to one month’s basic salary, and the Productivity Enhancement Incentive (PEI) at P 5,000. Government-owned and controlled corporations (GOCCs) not covered by the Governance Commission for GOCCs may implement the aforementioned compensation adjustments charged to their corporate funds. LGUs may also implement the compensation adjustments subject to the Personnel Services limitation under the law. For MUP, the EO effects the increase of Hazard Pay, and the grant of a substantial Provisional Allowance and an Officers’ Allowance in lieu of Base Pay increase. These two new allowances will approximate the additional remuneration had Base Pay been increased. The amounts of these allowances are also based on the proposed increases in Base Pay under the SSL 2015 bill. This is an interim measure until such time that a pension reform measure is passed in Congress that will mitigate the impact of pension indexation. The implementation of these compensation adjustments provided in the EO shall be effective January 1, 2016 with respect to all civilian and MUP personnel. With respect to regular members of the Cabinet, the effectivity is on July 1, 2016. For the President, Vice-President, and Members of Congress, the compensation adjustments shall take effect only after the expiration of the respective terms of the incumbents. "We trust that Congress will pass the SSL when it resumes so that the proposed compensation adjustments to be implemented in four tranches over four years will be permanent," Abad added.